With the holidays rapidly approaching, now is the time to think about what sorts of awesome photo-related stocking stuffers you might want to pick up for your loved ones. With a lot of photography items out there that is super cool, yet super expensive, we thought it would be nice to have a list of items that are fun and functional, but won’t hurt your pocketbook too much either. 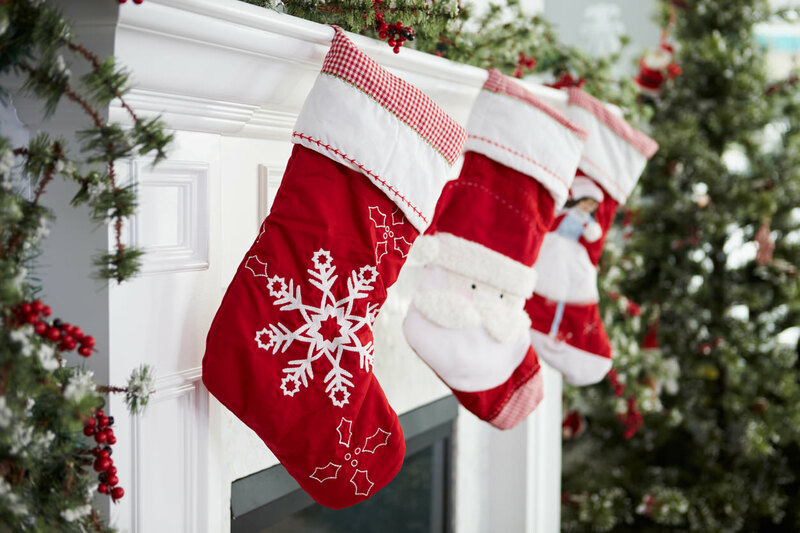 With that, let’s have a look at our top 10 last-minute stocking stuffers for under $50. Flasks have come back into vogue over the last few years. 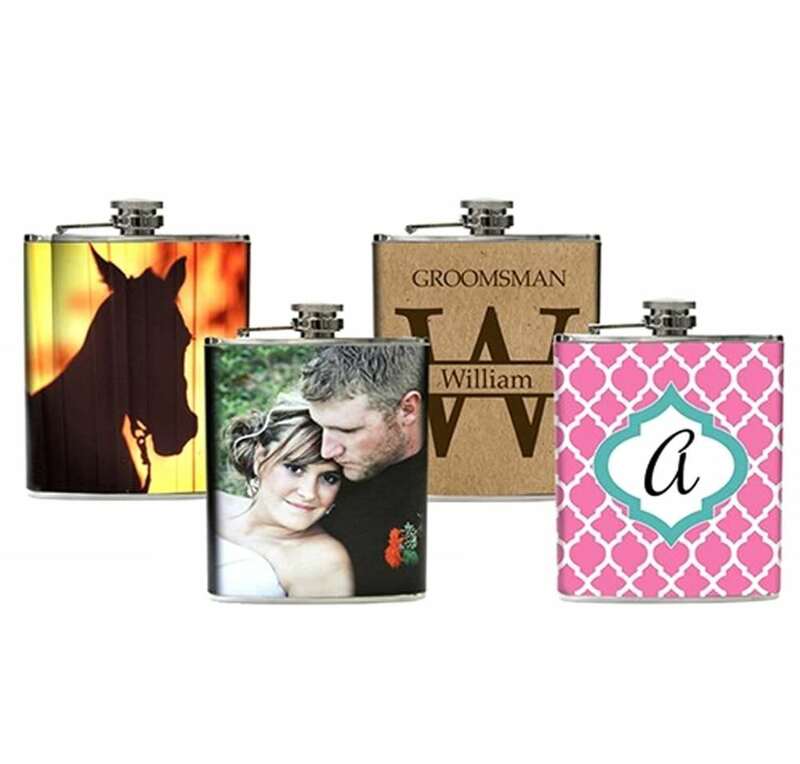 They’re a stylish way to carry your favorite beverage, and now you can have your favorite photo printed on one as well! This flask is wrapped in high-quality leather and has the look and feel of being ultra expensive, but without the ultra expensive price tag. Whether you buy it for your dad to use on his golf trips or you offer it as a fun product for your photography business, this flask will certainly gets oohs and aahs on Christmas morning. Learn more about the Photo Flask. 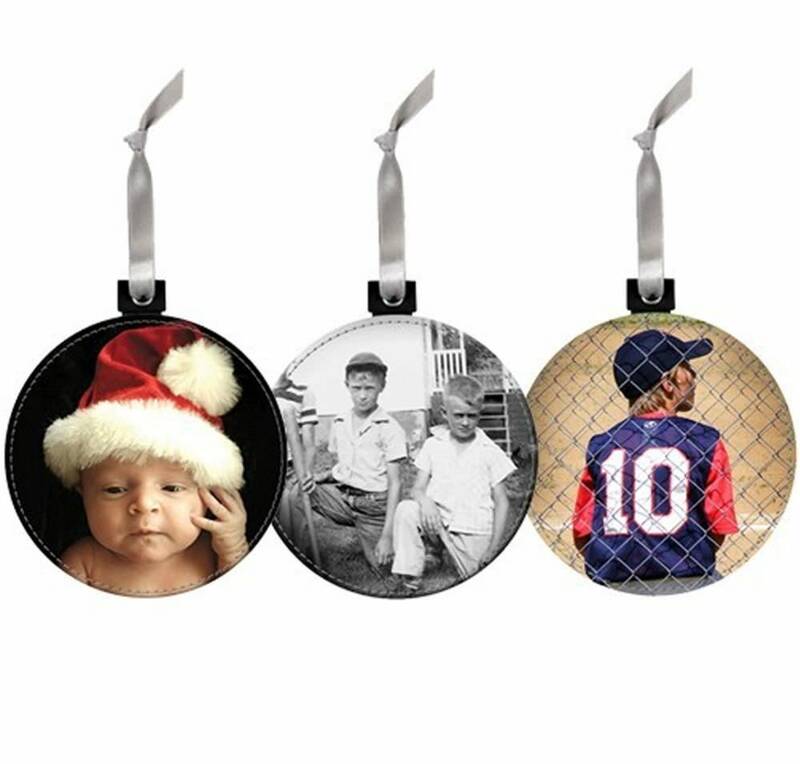 This genuine leather ornament is a perfect way to display your favorite holiday memories. 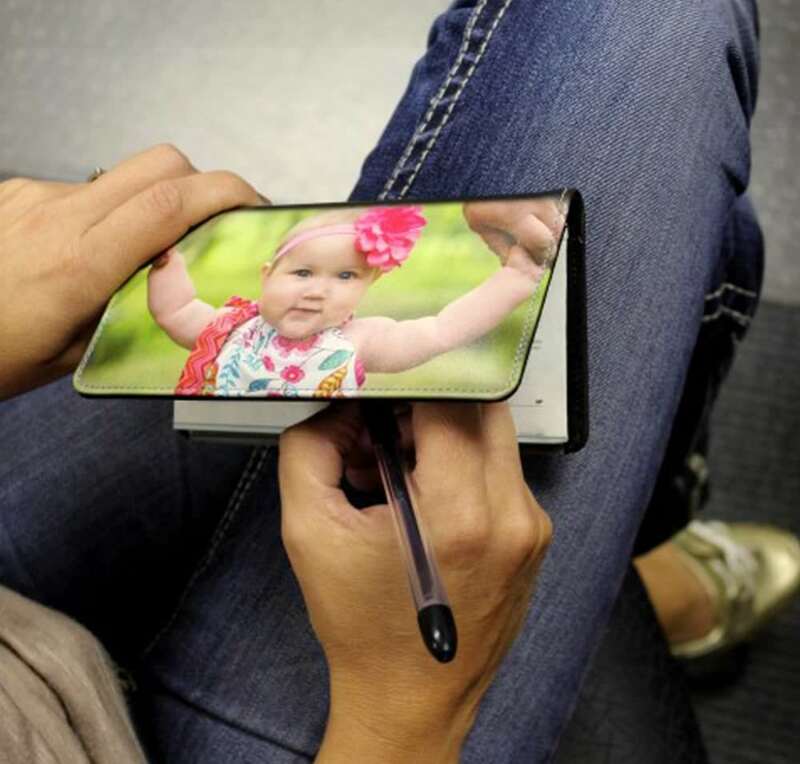 Your photo - whether it’s of your newborn baby, you and your mom, the family pet, or another beloved member of the family - is nearly 4 inches wide for easy viewing and comes with a ribbon for hanging. You can even get a music upgrade option to have it play Jingle Bells too! Either way, this ornament is sure to give you lasting memories for many Christmases to come. Learn more about the Photo Ornament. What better way to display your favorite photos than on something that you have with you virtually all day long - your keys! This custom wristlet keychain allows you to carry your keys around your wrist, so you can have your hands free to do whatever it is you need. Even better, this wristlet keychain gives you plenty of opportunities to see the happy faces of your loved ones. Made of durable fabric with nickel hardware, this keychain will stand the test of time. Learn more about the Wristlet Keychain. 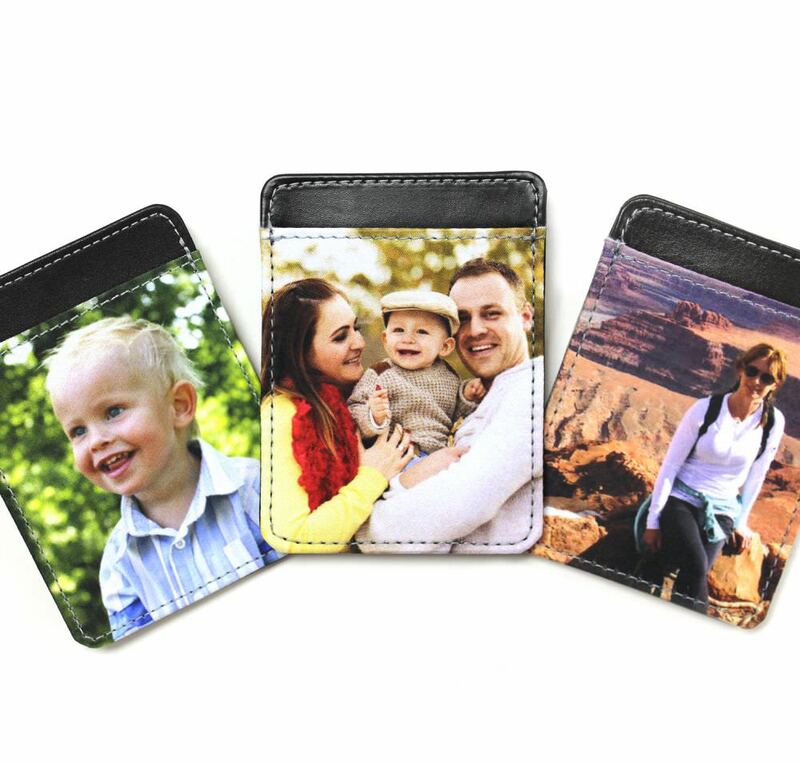 Another great way to display your favorite photo is to have it printed on a full grain leather wallet! This wallet is just 5.125”x4”, but it packs a big punch. With a bill compartment, ten credit card slots, and two interior pockets, it’s got plenty of room to store all your money and related items. With a full zipper, you know that you don’t have to worry about things falling out either! It’s a great gift for a friend or family member because they will be reminded of their loved ones each time they pull out their wallet. Learn more about the Zippered Wallet. For those times when you need to show your ID, why not keep it in a small, simple, and beautiful ID pouch, complete with a photo of your friends or family? The image is printed on durable fabric, so you’re sure it will stand up to the test of time. What’s more, the pouch holds coins, cash, and other small items, so it is a perfect accessory to work on its own or paired with a larger bag. For photographers, it can be used to hold memory cards or other small accessories. It’s an ideal gift for just about anyone! Learn more about the Small ID Pouch. Each time you write a check, you can look at a boring, faux leather cover, or you can have a look at a favorite memory from days gone by printed on a top-grain leather or fabric cover, as pictured above. This cover is built to stand up to the abuses of being thrown around in a purse, a desk drawer, or the console of the car. 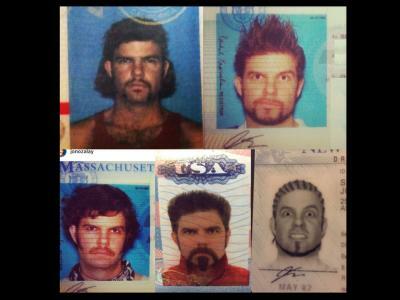 It’s got inserts to hold six cards or small photos, and has a duplicate flap for extra checks. It’s a functional yet fun gift that your loved one is sure to appreciate! 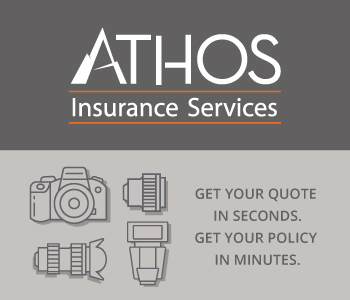 Learn more about the Checkbook Cover. 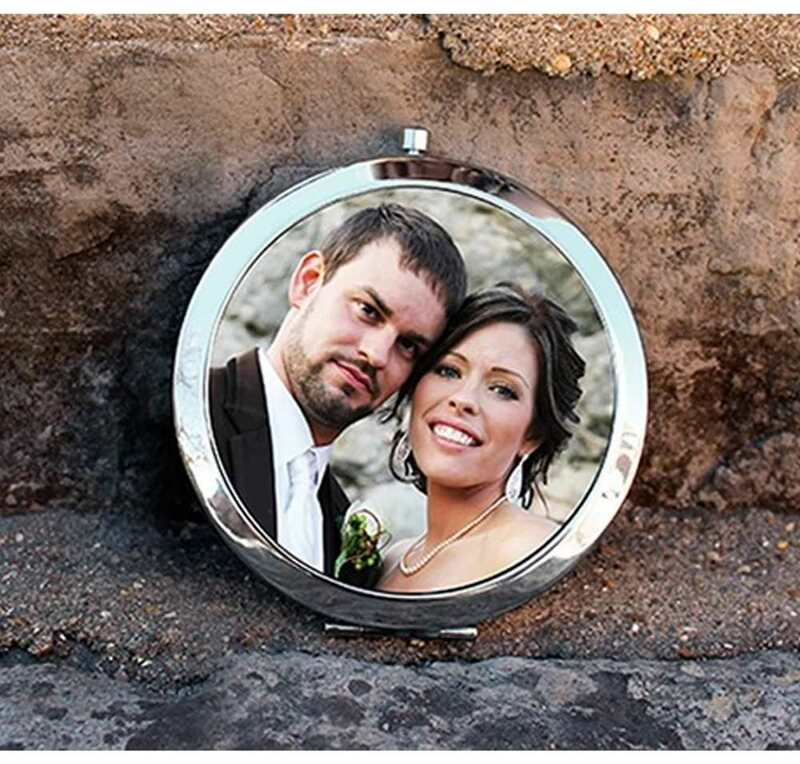 Give the lady in your life a practical gift that has a touching, personal element as well with this photo compact mirror. The image is printed on full grain leather and surrounded by a silver case with a hinged opening. The combination of the leather and silver is absolutely stunning! At 2 ¾”, it’s the perfect size to check make-up while on-the-go, and a perfect vehicle for showing off a precious memory as well. 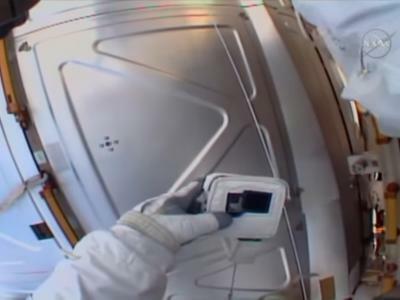 Learn more about the Compact Mirror. 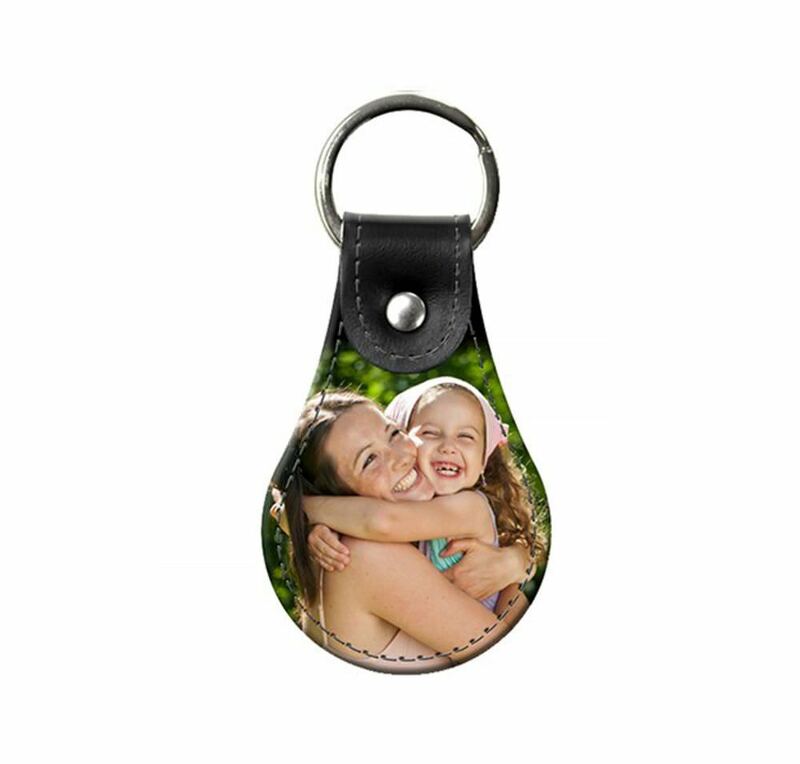 Remind your loved ones of favorite memories from the past with this photo key fob. Each time they reach for their keys they’ll see their kids, grandkids, friends, or other special people in their life. The leather construction is both durable and feels great in your hand. The bright nickel-plated hardware is the ideal complement to the leather for a tasteful presentation as well. Learn more about the Photo Key Fob. 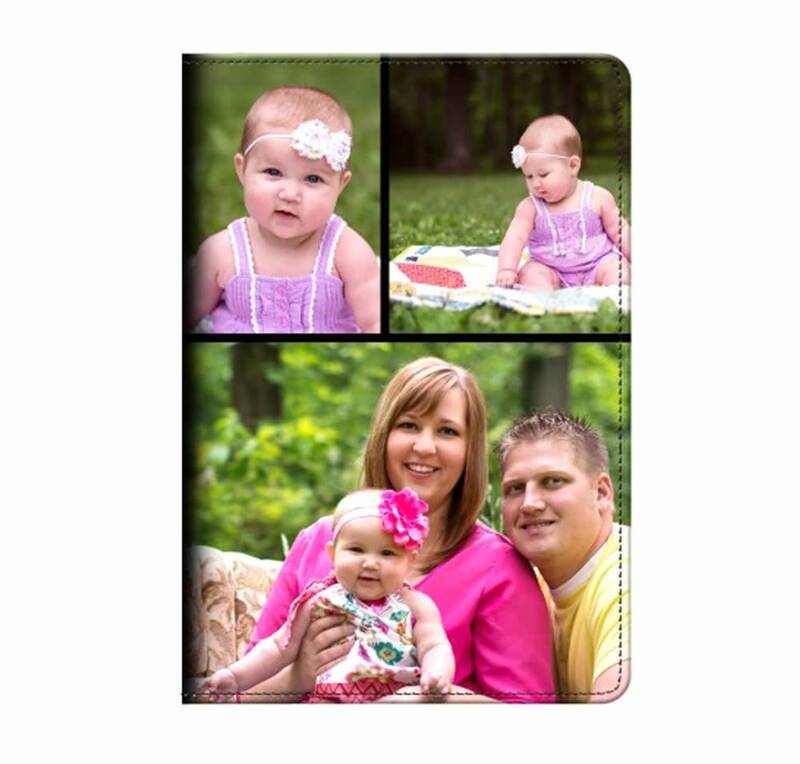 For the writer in your life, this personalized photo journal is the ideal Christmas gift. 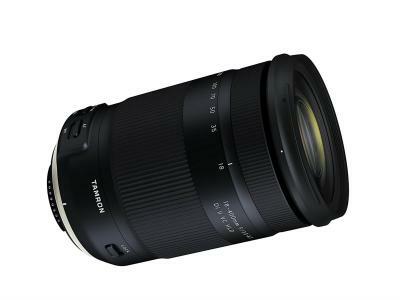 At just 5 ¾” x 8 ¼”, it’s small enough to easily carry around or throw in a bag for a quick adventure. The quality paper stock insert provides an excellent writing surface, and the durable fabric cover will withstand the bumps and bruises along the way. Even better, the cover is a great place to have a favorite photo displayed. For friends or family that prefer to carry their money in a tidy package, this photo money clip is the perfect gift idea! The wallet’s ultra-thin design means it can hold cash and credit cards without adding bulk. The money clip is constructed of full grain leather for durability, and provides an ideal surface for a photo of family or friends to be displayed proudly. Learn more about the Money Clip. products and make an easy profit. Joining the wholesale program is simple: visit the Snaptotes Wholesale Program page, sign up, and fill out a quick application. Once you’re approved, you’ll enjoy a 35% discount, giving you more profit on the items you sell on Snaptotes. It’s that easy!